Machine learning (ML) is a programming technique that provides your apps the ability to automatically learn and improve from experience without being explicitly programmed to do so. This is especially well-suited for apps that utilize unstructured data such as images and text, or problems with large number of parameters such as predicting the winning sports team. Android supports a wide variety of machine learning tools and methods. Whether you’re an experienced Android developer, or just starting out, here are some ML resources to help you get the best results. As an Android Developer, you will focus on inference and deployment of ML models. Depending on your own circumstances, you may also be involved in building and training models. Machine learning requires a model that's trained to perform a particular task, like making a prediction, or classifying or recognizing some input. You can select (and possibly customize) an existing model, or build a model from scratch. Model creation and training can be done on a development machine, or using cloud infrastructure. Pre-trained models are available in ML Kit and Google Cloud. Read more about them in the next section. The TensorFlow for Poets codelab shows how to customize a pre-trained image labelling model using transfer learning. Inference is the process of using a machine learning model that has already been trained to perform a specific task. TensorFlow Lite can be used to deliver a trained TensorFlow model as an on-device solution. Android App Bundle - The developer can include only the version relevant for the device architecture 32/64 bit. Additionally, if the ML feature can be dynamically loaded. This enables you to update your model independently of your app. This also makes A/B testing easier. You can serve your custom model using the ML Kit Custom Models function or host the model download with your own infrastructure. It is not unusual for developers to package an initial version of their model with their Android app so that user does not need to wait for their model to download while updating the model to a new version. For selected pre-trained ML Kit models, namely text recognition and barcode scanning, developers can use the shared model provided by Google Play Services resulting in smaller APK sizes. Adding ML to your Android app opens up a new way to build applications that were too difficult to get right in a wide variety of conditions (such as reliable barcode scanning) or that were not even previously possible (for example, image detection and text sentiment). Lose It! is a weight loss calorie tracker app. It helps you lose weight by logging all the food you eat so you know how many calories you have consumed. Lose It! 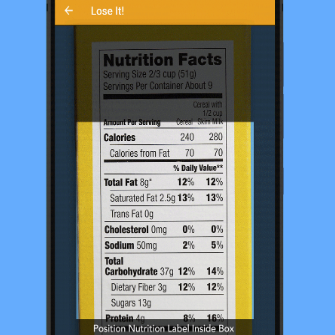 uses the ML Kit text recognition API to scan nutrition labels to pull in the data when users are entering a new food that isn’t in their library. PlantVillage helps farmers detect diseases in Cassava Plants. 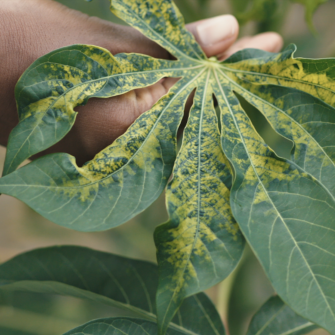 Penn State University and the International Institute of Tropical Agriculture uses their custom TensorFlow models running offline on mobile devices to help farmers detect early sign of plant diseases. 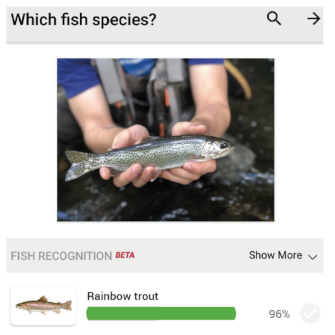 The Fishbrain app provides local fishing maps, forecasts, and connects millions of anglers. Fishbrain uses ML Kit Custom Model to deliver updated custom TensorFlow Lite models.